Kefalonia island has a long, multicultural history from conquerors of the past that have left traces visible today and has gone through a Great earthquake that totally changed the scene. Half-ruined settlements abandoned since the Great 1953 Ionian earthquake and medieval stonewall castles, all dominated by the power of nature with trees and wild greenery growing through the stones, create the absolute time travelling sense. Lets explore them! Old village of Farsa: The disastrous earthquake in 1953 forced the inhabitants of the Village of Farsa to abandon their settlement in a rush and rebuild their lives a little southern. The ruins of the old settlement stand still, while scattered small objects such as teaspoons, dismembered dolls and broken porcelain indicate the rapidity of the abandonment. Vlahata Samis:Before the devastating earthquake in 1953, the old village of Vlahata was located near Sami. The settlement was then abandoned by its inhabitants and now rests half ruined among the trees that grow between the wrecked walls. 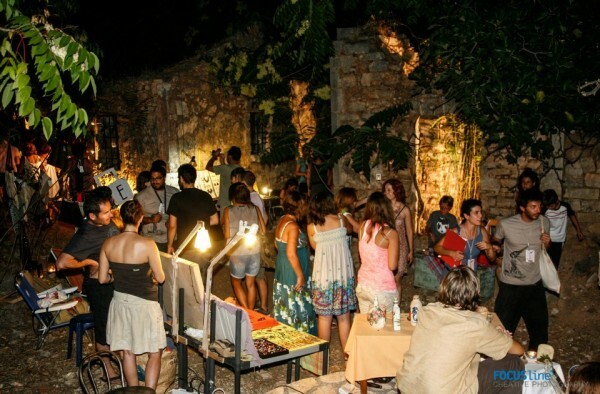 From summer 2012, almost 60 years later,”Saristra production team”, under the creative guidance of “Aigialos” cultural association, revives the “old” village annually, by organizing the Saristra festival on its remains, with performances, live bands and video art screenings on the ruined walls. 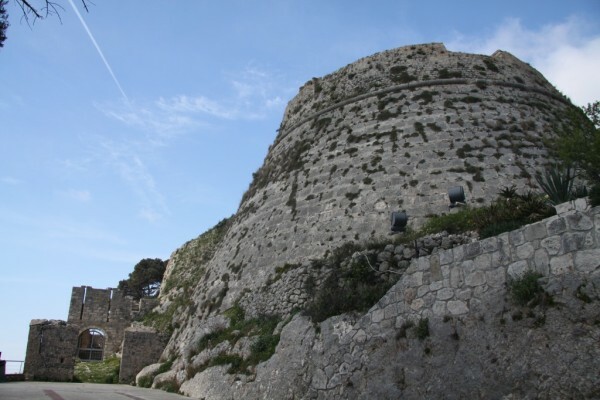 Saint George’s Castle:From 300 meters high, the castle has been keeping an eye on everything since it was built 800 years ago. It was the place of residence for nobles and officials and has been the capital of Kefalonia for centuries. Within a 600-metre perimeter of walls, ramparts and watchtowers, could spot pirate ships as far as 20 miles away on a clear day. 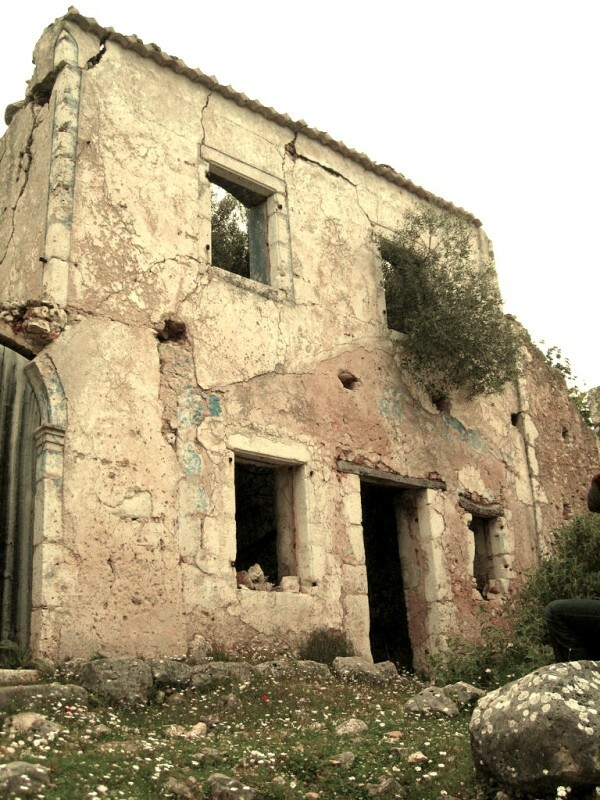 When the capital was relocated to Argostoli in 1757, life in castle faded and all interest in it was lost. Today, the castle is ruined and only a few buildings survive, but still indicate its magnificence. It was not only the damage over time and wars, it also suffered a lot from the disastrous earthquake in 1953. 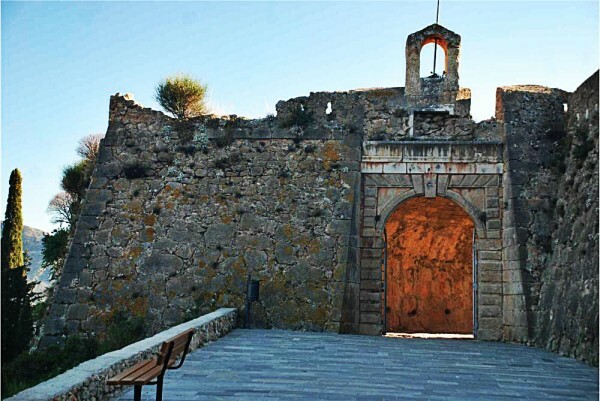 Assos Castle: Located on top of the Assos peninsula, it is the largest among the two castles in Kefalonia. It was built by the Venetians in the 16th century on the west coast of the island in order to protect Assos village from pirates. The latest inhabitants lived within the castle walls up until the late sixties. They were known as the Kastrini people and were groups of large families who lived from cultivating olives and grapes. The Castle housed more than double the residents of today’s village of Assos with around 200 houses as well as many public buildings. The strategic location of the Castle allowed supervising the whole sea area and from there you can get beautiful view of the bay.